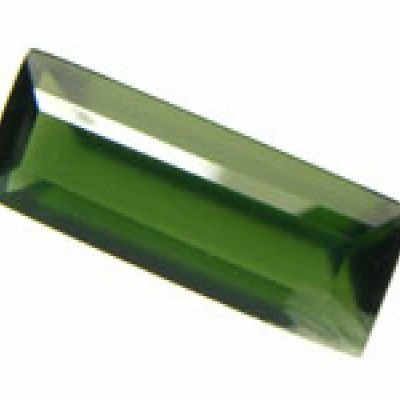 This material is rarely seen in faceted stones, and RARELY in 7 CARAT gems that are gem quality! Bowenite is actually a variety of Antigorite which was first found in Italy. The name Serpentine is applied to a group of minerals and is not a valid species. 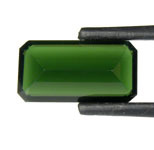 This stone came to me labeled as being a chromium bearing gem, and it comes from a trusted source. 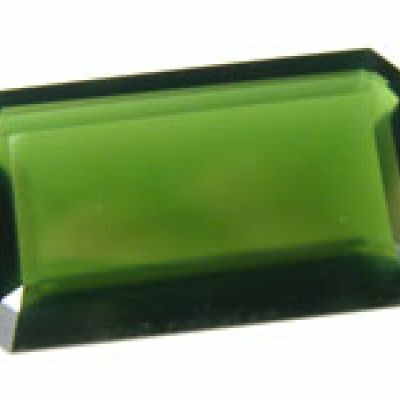 The material is extremely rare in any quantity, but to find a stone with such great gemminess is really impressive. 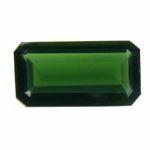 The stone is translucent and has a rich emerald-green color. 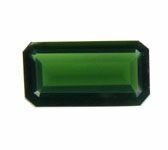 The gem has a Shallow Emerald cut and is simply one of the best stones of this material that I have had to offer. If you're a rare gem collector, you can't afford to miss out on such a beautiful and large stone for the size and quality.